Peter G. Rowe applied the term “design thinking’ to architecture in 1987. More recently, Tom Kelley, Tim Brown, and their colleagues at the design firm IDEO have developed comprehensive techniques for framing problems and generating solutions, emphasizing design as a means for satisfying human needs. While some of these approaches encompass design in the broadest sense, our book focuses on graphic design—as a medium and as a tool. Ideation techniques often involve capturing ideas visually: making sketches, compiling lists, diagramming relationships, and mapping webs of associations All these modes of inquiry are forms of graphic expression—a point made in Dan Roam’s excellent book The Back of the Napkin (2008). Designers of products, systems, and interfaces use narrative storyboards to explain how goods and services function. 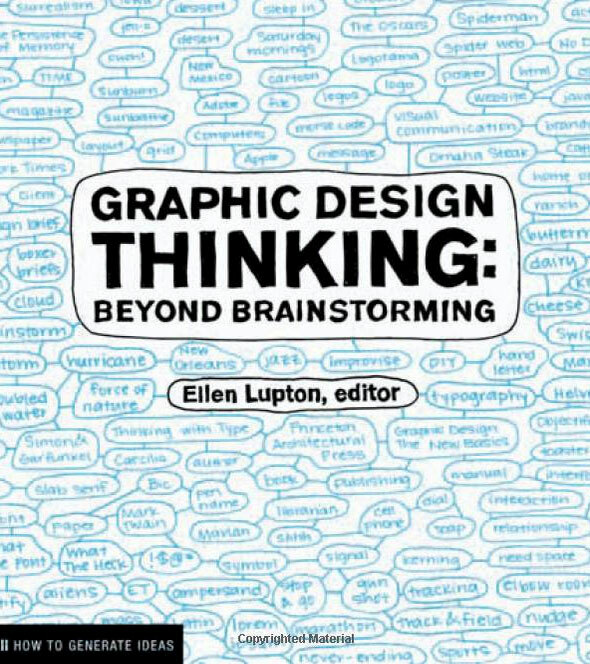 In addition to presenting techniques for framing problems and generating ideas, this book looks at form-making as an aspect of design thinking. Whereas some approaches to design thinking de-emphasize the formal component of design, we see it as a crucial element of the creative process. This book was authored, edited, and designed by students and faculty in the Graphic Design MFA program at Maryland Institute College of Art (MICA). Conceived expressly for this book, most of the projects were designed to test principles of design thinking in a studio/classroom environment. Each technique can be easily implemented by students and small design firms. 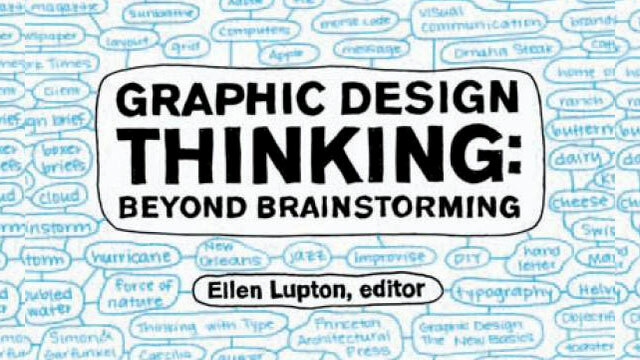 Graphic Design Thinking is the fifth in a series of books published by Princeton Architectural Press in collaboration with MICA’s Center for Design Thinking. The act of writing and producing these books helps students and faculty expand their own knowledge of design while sharing ideas with a community of designers and creative people working around the world. Our classrooms are practical laboratories, and these books are the results of our research.